We're going to make the leap and just say it now. Bob Bradley is your "new" USMNT coach and Martin Jol is your new FFC manager. 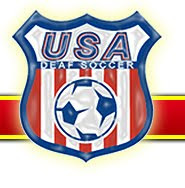 Not that we're happy about the USSF decision, but we were playing with our magic 8-ball on the toilet this morning and well, "all signs point to yes". Bob Bradley is rumored soon to be given an extension of his contract by USSF. Currently, no word on the expected duration of the extension, but one assumes that it is through the next WC cycle in Brazil. What does this mean? Well, if ESPN reports are as indicated, Martin Jol is your new Fulham FC manager. For about $1.9mil, Ajax will release Jol from contract and he will be announced as the new Fulham manager on Monday, just before the team leaves for 10 days training in Sweden. Martin Jol is coming off a season where he won a CL berth with Ajax and narrowly lost out on first place in the Eredivisie. He'll be moving back to the EPL where he last coached with Tottenham from 2004-7 when he was quickly cut loose following fallout with then acting Sporting Director Damien Camolli (now with St. Etienne). He does have a proven track record so we here at TSI wish him well. Updated 7/19- Just saying, but the supposed announcement of Jol to Fulham is tomorrow. 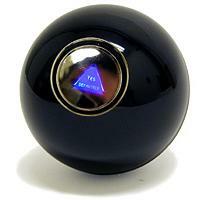 When the other shoe drops confirming Bradley as USSF, I don't want to hear you disparaging the Magic 8 ball again.